Jaipur has always been close to my heart as my native place where I was born and brought up by my lovely family. With a joint family background I am blessed with immense love and pamper. This is what I always cherish along with me, no matter where I am. Lucknow’s warm greetings and people’s affection were giving me the same experience. The city is always well known for its welcoming gestures and sweet language. Moreover, it is the hub of Nawabs and their elegant behavior. The city still beholds the charm of its old culture through the architectural and ancient monuments. One of them is Tomb of Saadat Ali Khan Lucknow, quiet and well preserved with the same age old dignity. This is what my eyes have seen. Choices may vary from person to person. 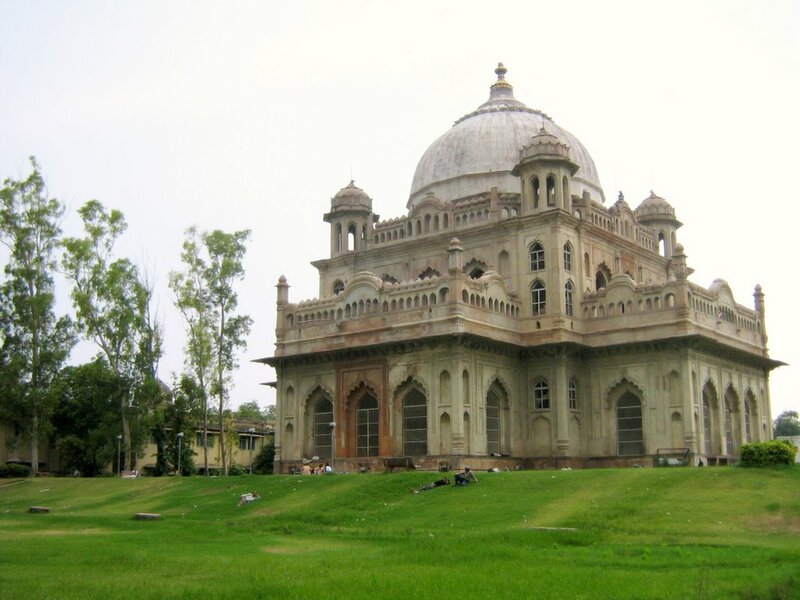 Aloof from the bustling city of Lucknow the tomb preserves its own beauty and allure. It is richly build on white and black marble flooring. This was something incredible as this part of the nation has scarcity of marbles. I accessed towards the hall and could see the vast balconies in the four alcoves of the hall. The sight was really unwinding. It was amplifying my desire to witness the place. All of these times I was on a journey of Royals and this vision was familiar to it. Each balcony has graves of Saadat Ali Khan’s daughters and wives. It is said that the mausoleum started constructing at the reigning period of the king but after his wife’s death it remained incomplete till now. I was amazed by the Indo-Islamic structure of the mausoleum. Chunam and Lakhauri bricks are the materials used to erect it. Embellishments are done with diverse patterns and stucco mouldings. Really it gave me a complete recess from my serious work. It is entirely different with what we see in our day to day life. Travelling historical places is my cup of tea as it helps me a lot to break the monotony of my city’s life. 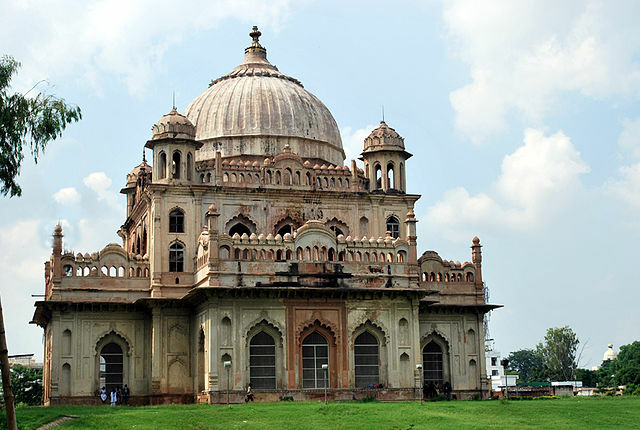 Tomb of Saadat Ali Khan Lucknow was a new episode for me which I ended in few minutes with warm experiences of Indian history and moved on to have some Lucknow local cuisine. This entry was posted in Attraction, Historic Places, Travel and tagged tomb of saadat ali khan lucknow. Bookmark the permalink.